My Brunch Omelet Biscuit Bowls are gluten free, high in protein and perfectly fun size! Happy hump day guys! I know it may feel like I have been MIA for a while and I do apologize for that. With growing my catering business and blogging my healthy recipes for your lovely faces, life got a little overwhelming. But no matter how busy it gets, I’m always going to be here for you guys! So I’ve actually made this recipe many times before. Truth is I was going through some of my older recipes and I stumbled across my original Omelet Quiche Bowl recipe I posted over 4 years ago. The first thing that went through my mind was “holy cow how embarrassing are my old photos?” and and then I thought to myself “time heals all bad photos, plus it still looks delish!” the one thing I do enjoy about making these biscuit bowls is how easy and versatile they are (I guess that’s two things) but you get the idea. Either way, these brunch omelet biscuit bowls are a healthy and delicious fun size option to add to your breakfast or brunch menu. So in the famous words of Porky Pig…. Combine crust ingredients in a medium bowl and place in a non stick greased muffin pan. Make a shallow hole in the crust to create a space for the filling and bake for 10 minutes. Combine the filling ingredients together and gently pour into the crust cups. Place the biscuit bowls back into the oven and bake again for 15-20 minutes, or until the eggs are fully set. Serve when ready. This recipe was inspired by the Paleo Indulgences cookbook. 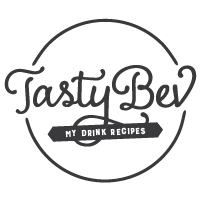 Enter your email address to subscribe and receive notifications of new recipe posts and updates. © 2019 My Digital Kitchen. All Rights Reserved.